Vintage Clothing Blog | Vintage Wedding Dresses | Salvage Life: Party Tomorrow!!! The shop opening party is tomorrow night, so if you are expecting an actual blog post, you are crazy! Hopefully you can make it! 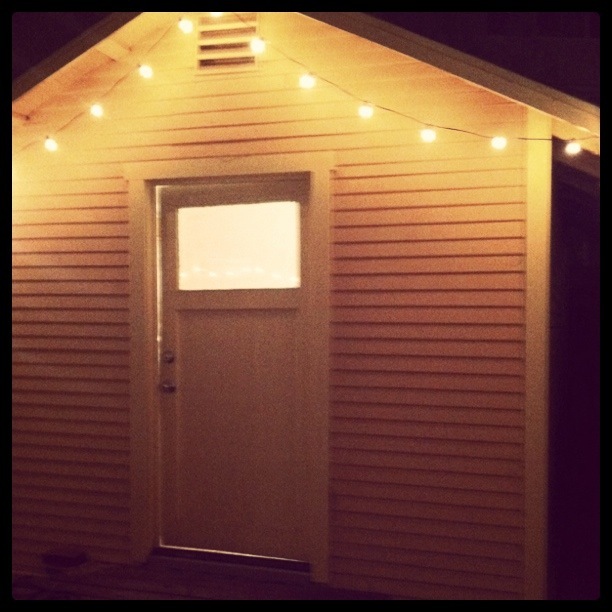 Here's a little instagram photo I took last night while hanging some lights in the back, it looks so cute out there! If you haven't rsvp'd yet, click HERE to see the whole invite. 3941 Long Beach Blvd, Long Beach 90807 from 7-10pm Saturday August 20th. Party on, Girl!! Hope all goes well. Enjoy the results of your hard work.